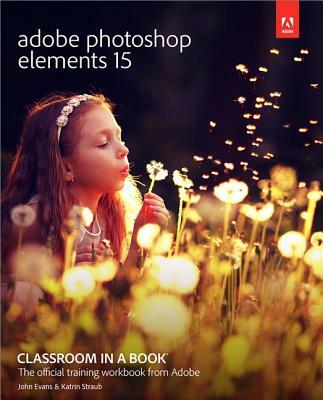 3Adobe Photoshop Elements 15 Classroom in a Book is the most thorough and comprehensive way for you to master all the new features in Adobe's top-rated consumer-targeted photo-editing software. Each chapter in this step-by-step, lesson-based guide contains a project that builds on your growing knowledge of the program, while end-of-chapter review questions reinforce each lesson. You will learn the basics of editing your images with Photoshop Elements and learn how to best use the program's many new features. In this new version of the book you will receive complete coverage of all the new and improved features in Photoshop Elements 15. Discover how to use Smart Tags and enhanced search to make it faster and easier to organize and find your photos. Save time with the enhanced Instant Fix feature. Explore all new Guided Edits. Explore the Filter Gallery. You'll discover new tools that let you expand your creativity. And you'll learn how to print, export, and share your images.